ATTO's vConfigTool for VMware vCenter Server is a software plug-in that integrates simplified, centralized management and monitoring of 16Gb/s Gen 5 Celerity and 12Gb ExpressSAS host bus adapters into VMware virtual environments. 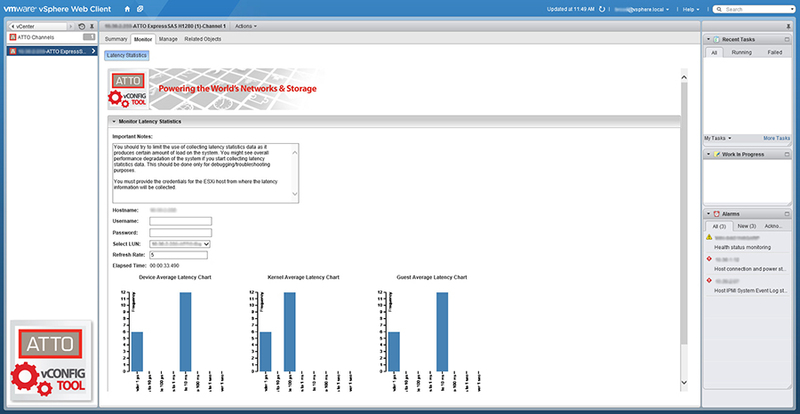 With vConfigTool for VMware vCenter Server, IT administrators using vSphere 5.5 and later web clients can accelerate adapter deployments, optimize configurations, improve system availability and reduce the cost of VMware host infrastructures. 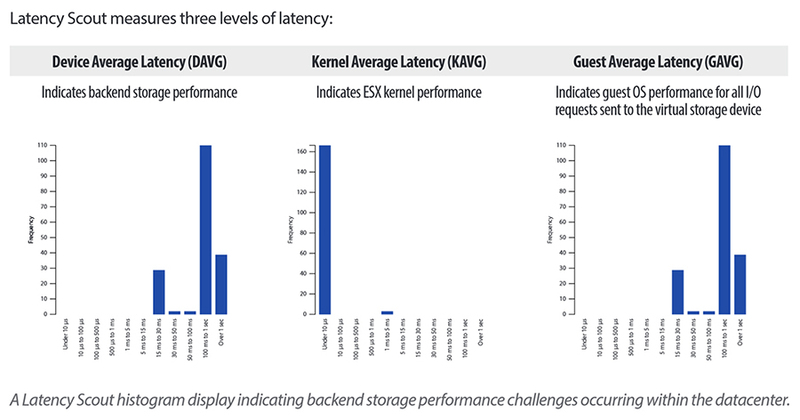 ATTO's exclusive storage I/O latency diagnostic tool Latency Scout enables IT administrators to quickly isolate datacenter bottlenecks with real-time latency histogram ensuring maximum infrastructure uptime and optimal performance. For additional information regarding ATTO's vConfigTool and Latency Scout reference ATTO's vConfigTool Tech Brief and vConfig Utilities manual. Learn how ATTO's vConfig Tool and Latency Scout can centralize management and monitoring of ATTO Celerity and ExpressSAS host bus adapters within a VMware vCenter environment.